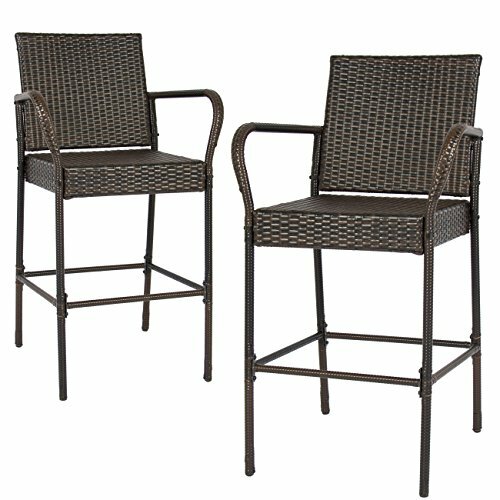 Best Choice Products is proud to present this brand new 2 Piece Wicker Bar Stool Set. This set of bar stools is designed to add a distinct style to your home. The dark tone color of the seats will bring an elegant and comfortable style to your kitchen or outdoor patio setting. 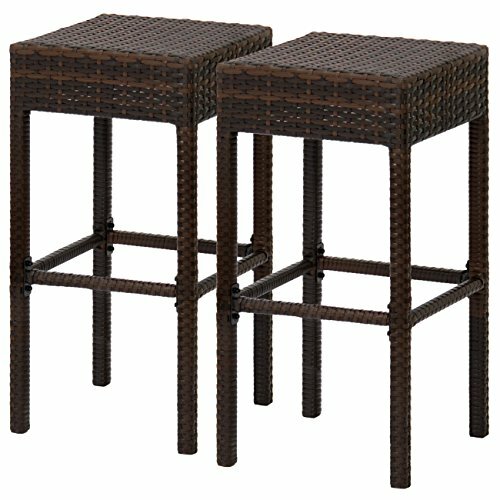 Made from resin wicker and an iron frame, the bar stools are incredibly durable. The UV and weather resistant material make them able to last from season to season. Each bar stool includes crossbars to keep them sturdy and able to be used as foot rests. With their 30” seat height, from ground to seat, they can be used for any standard counter top. 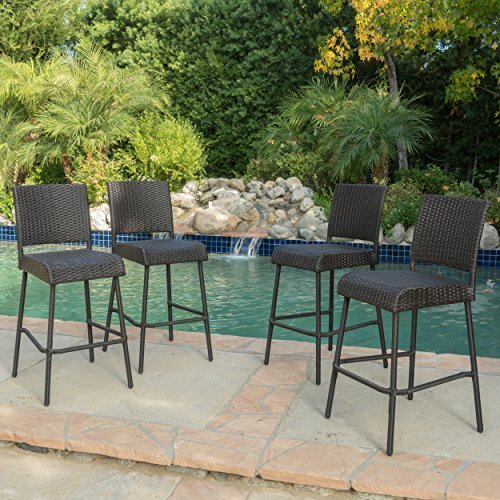 The backrest is a solid 17.5” to fully support reclining bodies and gives the chair a total height of 46”.Purchase this beautifully designed set of counter top bar stools to start creating that patio or home style you have been looking for. 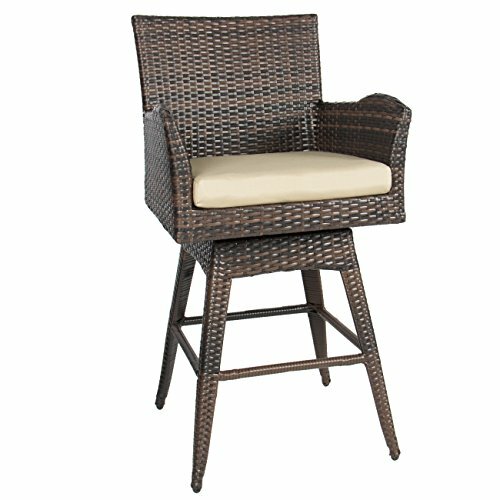 SPECIFICATIONS: Product Dimensions: 20”(L) x 18.75”(W) x 46"" (H);Bar stool seat height: 30""; Seat Dimensions: 20”(L) x 17.25”(W) x 3.75”(H); Foot Rest Dimensions: 18.75”(L) x .75“(W) x 13“(H); Arm Rest Dimensions: 9”(H) from seat; Minimal Assembly Required; Weight Capacity: 250 lbs. Best Choice Products presents this brand new swivel bar stool with cushion. This bar stool combines a simple and classic design with great comfort and durability, and is an excellent lounging choice for any outdoor or indoor area. Its design allows for simple space-saving storage while the durable, lightweight construction makes it easy to carry. 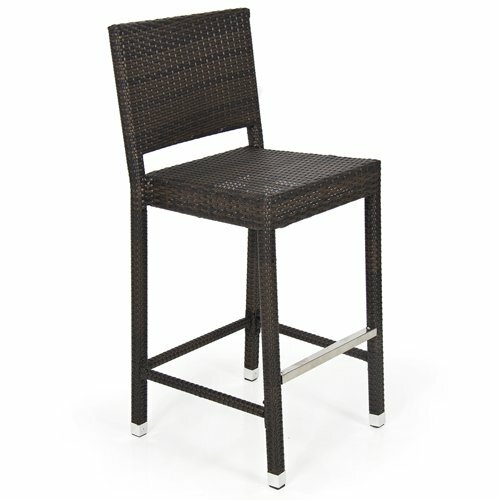 This swivel bar stool is constructed of hand-welded heavy gauge aluminum and thick hand-woven resin wicker. Spice up your outdoor décor with this swivel bar stool with cushion from Best Choice Products! SPECIFICATIONS: Overall dimensions: 22"(L) x 18"(W) x 43"(H); Seat dimensions: 22"(L) x 18"(W) x 27”(H); Cushion Thickness: 2"; Weight: 26.5 lbs. ; Weight Capacity: 250 lbs. ; Simple Assembly Required. 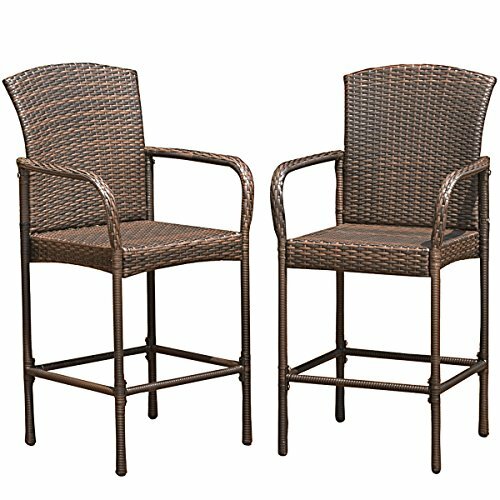 These attractive wicker outdoor barstools are an ideal purchase for any patio. The durable yet comfortable wicker seats, are sure to be a hit with your guests. The sturdy frame doubles as an easy footrest for those that may require a bit more support. The slight curve in the seat backs also add both comfort and flair, making these barstools that much more comfortable. Relax with them on your patio today. 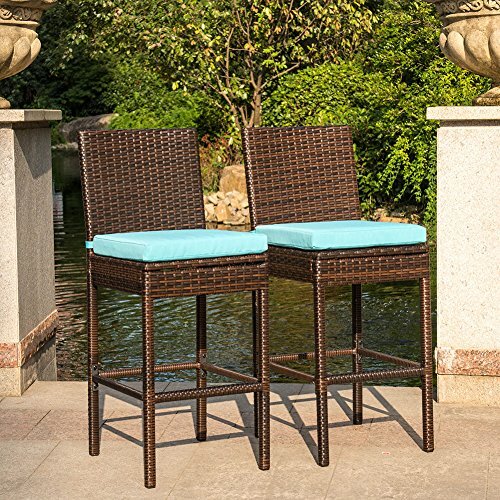 The Stewart outdoor wicker barstool set are made out of tightly woven Faux wicker with a strong powder coated iron frame, allowing them to withstand outdoor weather while still looking as perfect as the day they arrived. 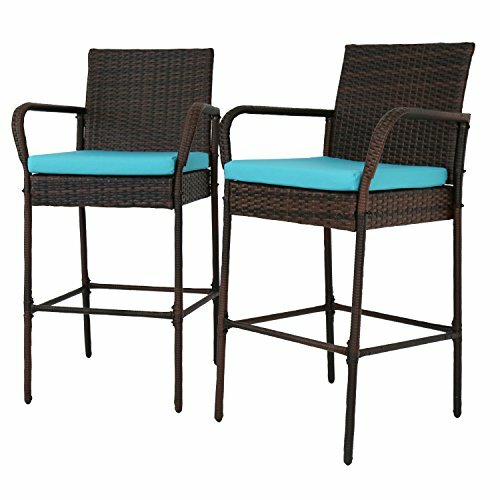 Looking for more Wicker Outdoor Bar Stools similar ideas? Try to explore these searches: Creamy Cherry Blossom, Silverado Running Boards, and Irish Catholic Blessing. 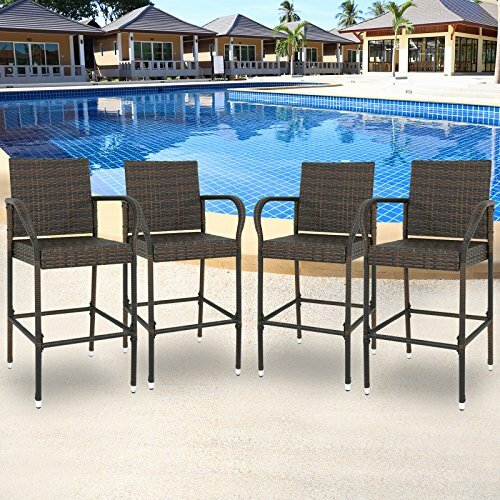 Shopwion.com is the smartest way for comparison shopping: compare prices from most trusted leading online stores for best Wicker Outdoor Bar Stools, Player Marbles, Folding Iron Bistro, Stools Outdoor Wicker Bar . 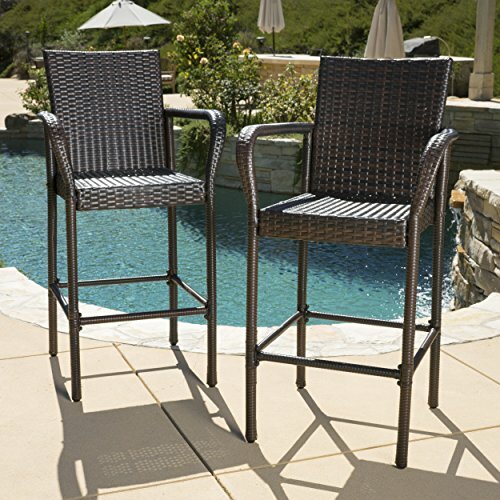 Don't miss this Wicker Outdoor Bar Stools today, April 24, 2019 deals, updated daily.